Yep, it's baby's first grand theft auto!! We were getting ready to leave and Liv climbed in the back of the van...she had toys, I thought she was playing, so I was saying goodbye to my friend. 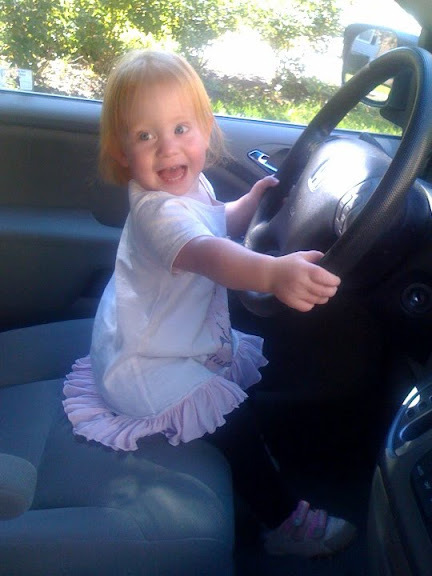 Next thing I know, Liv has climbed into the front seat and is happily pretend driving (I so wish I had my flip camera on me at the time!). Let's keep it real...to get in the front she had to climb over the center tray thing which had 4 empty Diet Coke cans plus assorted other garbage on it. This girl meant business!! From this viewpoint, she proceeded to adjust the heat, turn up the radio, and lock the doors (luckily, I had two of them open at the time). Then she leaned over and picked up my keys from the passenger seat and attempted to really get things moving! Let's just say we refer to this girl as "Houdini" for a reason. There's my little sister being such a goofball! I wish i was there to see it. And she is so smart. She is definitely going to be a troublemaker! TROUBLE with a capital T!!!! But darn cute!! 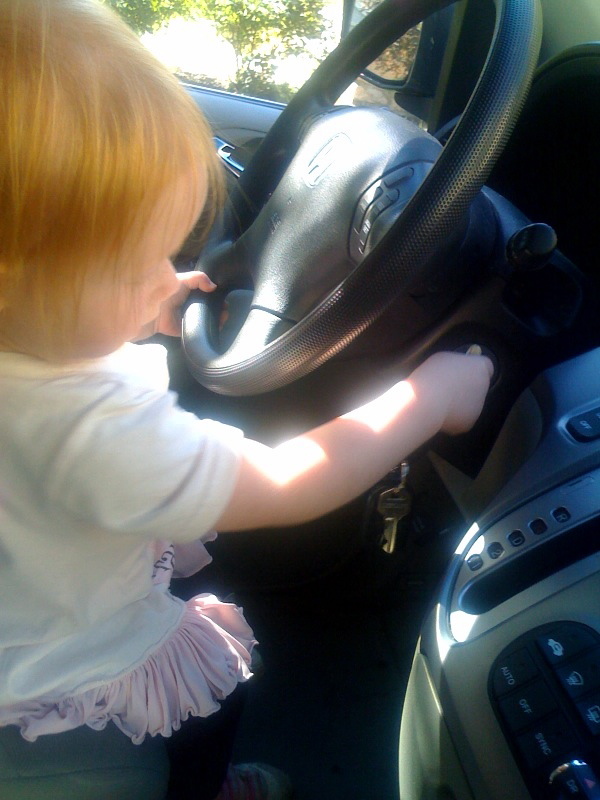 The picture of her starting the car is crazy scary (and funny). How does she know that?? ?